Where is Money Island NJ? What’s happening at Money Island? The short version: The marina is closed while we wait for specific state officials to do what they said they would do. It is taking much longer than expected but we expect eventual support. Money Island was built on the shore of the Delaware Bay in Cumberland County, New Jersey, from the 1930s to the 1970s without any permits, surveys, licenses, etc. that leads to many regulatory compliance problems today because of the decades-old missing paperwork. 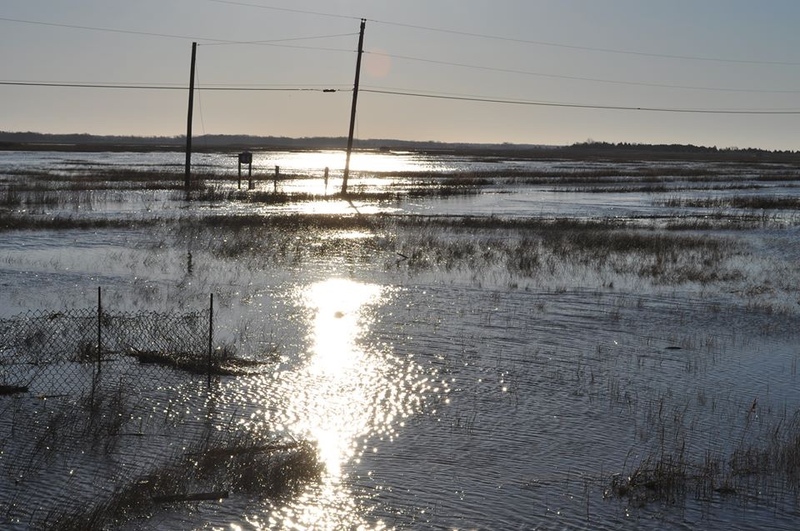 We propose to address these paperwork deficiency issues with legal redevelopment that accounts for future use, higher water levels, frequent flooding, and increased wetland erosion. Research on sustainable infrastructure and restorative aquaculture is already underway here by a handful of educational and environmental groups. Meanwhile, however, permit applications to make improvements to current infrastructure have been denied and the state government recently obtained court order to shut down most existing facilities. Water level rise is a major factor in the redevelopment plans. While more water is good for the proposed future aquaculture uses, it is not good news for traditional human uses. It could also be devastating to the grass marshes that are washing away at an alarming pace. By 2050 Money Island will likely be completely underwater except for the reconstructed infrastructure designed with this expectation. Money Island is primarily a seafood landing port. In fact Money Island is New Jersey’s second most productive seafood landing port worth millions of dollars to the local economy every month in oysters, crabs, and fish. The larger regional seafood companies have proposed expanding here and are quietly acquiring more of the waterfront space. Eventually Money Island will be the primary site of the region’s expanding oyster nurseries. A growth in Delaware Bay oyster production of 1,000% to 2,000% is possible within a decade. For 2019, however, some of the smaller watermen have moved out of Money Island because the state closed their docks. The residential houses are disappearing. This is a voluntary choice of the owners based primarily on the observed effects of water level rise. Buyouts are exacerbated but not forced by government actions. Less than 10 houses are currently occupied on a regular basis. Some of the few remaining residents stay because they can’t afford to sell and relocate at the current low property values that have fallen more than 90% over the past decade. If finances were not an issue, we suspect that all residents would relocate. The recreational marina declined to such a low level of utilization in recent years that operation as a commercial entity was impossible. From 2016 to 2018 the marina averaged just one customer per day. The marina accumulated more than 10 consecutive years of financial losses and had to obtain supplemental funding by local nonprofits organizations since 2010. Despite the low usage, both public and private interests are committed to maintaining public access to the waterways here. The local government and community groups created a redevelopment strategy for the bayshore region that specifically focused on a sustainable redevelopment plan for Money Island as the region’s premier aquaculture center and seafood landing port. That plan has not yet been formally supported by state policy makers. The business of saving one storefront community for economic reasons while abandoning other communities as the water level continues to rise will continue to be politically difficult. Still, we expect that the need for seafood production increase will eventually win in this political struggle. Results of research are encouraging. We’ve shown progress on restoring species diversity, preventing erosion, rebuilding elevated infrastructure, and moving toward energy independence. The government consultant for the Money Island community recently met with high level officials at NJDEP. They report that an agreement in principal has been reached to allow proposed restorative aquaculture and sustainable redevelopment. No formal, legal and actionable steps have been taken yet. The millions of dollars of private and public funding required for permitting and rebuilding of Money Island have already been identified but all of these proposed sources are contingent on state government action. Access to redevelopment money is not expected to be a the problem in this case. Investors are actually fighting for primary positions in the redevelopment plan once it is approved. We are in a ‘waiting pattern’ for the state government action to halt current litigation over past lack of permitting that will then trigger a release of new funding to address these other issues. A book and film about Money Island will be released soon and we hope this will bring attention to our situation. Looking ahead at the planned redevelopment of Money Island, we know that there will be many changes with an uncertain time frame. About half of the homes are recently removed and more will be removed in the future. Some of the immediate changes on our campus focus on increased physical and operational security. Anyone associated with the marina in a position of handling transactions or equipment will be required to provide a background investigation report. Information will be provided on a case by case basis. Members will be provided with a bright ID tag. Two weeks ago Tony met with the director of the NJ Small Business Development Center at Stockton University to discuss Money Island’s strategic planning for our various businesses. Tangible results are beginning to show. First, our business plan went through a major update and is available in draft format for public comment. (If you want to see a draft copy, please contact us). Second, since it is clear that our future depends on success in obtaining government and private sector grants, the SBDC is trying to help us with the grant proposal writing and management process. This is almost a full time job and Tony is already overwhelmed with the first five grant programs wehere we are currently being considered.